Elizabeth Saunders is a Partner of Clermont, based in Chicago and New York. Elizabeth specializes in building best practices strategic communications programs across a wide spectrum of clients. She has served as senior counsel for business transformation assignments and has actively worked on initial public offerings, pre- and post-merger communications, CEO transitions, and restructurings for Fortune 500 Companies including the Coca-Cola, The Dow Chemical Company and Transocean. Prior to Clermont, Elizabeth was the Americas Chairman of the Strategic Communications segment at FTI Consulting. The Strategic Communications segment she chaired was a global, financial and corporate communications firm. It is consistently ranked by Merger Market as one of the top M&A firms globally and was named the 2012 “Corporate Agency of the Year” by The Holmes Report. Renowned for her expertise in the area of corporate governance, Elizabeth has published numerous articles; lectured throughout the U.S. on shareholder activism strategies; and been quoted in Board & Directors Magazine, The New York Times and Wall Street Journal. She was also named to the prestigious National Association of Corporate Director (NACD) “Directorship 100” and Crain’s Chicago Business “40 Under 40”; and has spoken to the NACD and Women Corporate Directors (WCD). In 2015, Elizabeth also founded Commodore Intelligence, a platform for market intelligence investor profiles and insights into corporate access strategies on US investment in European equities. This platform is used by European companies and their counselors to better target US institutional investors with the strongest probability of investing in their public equities. Earlier in her career, Elizabeth was a co-founder of Ashton Partners, one of the top-15 independent IR firms in the U.S. FTI Consulting acquired Ashton Partners in 2008. 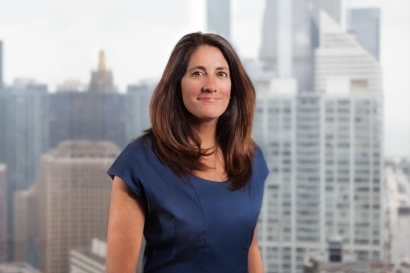 Elizabeth holds a law degree from DePaul University, with a concentration in Securities Law, and a BBA in Finance from the University of Notre Dame. She is on the Executive Board of Big Shoulders and a former member of the Board of Directors of the National Investor Relations Institute, and head of its Emerging Issues Committee.